Preheat your grill to medium-high. Mince sausages and then cook until browned and cooked through. (165 F). Spread tomato sauce on pizza crust (1/3 cup per pizza). 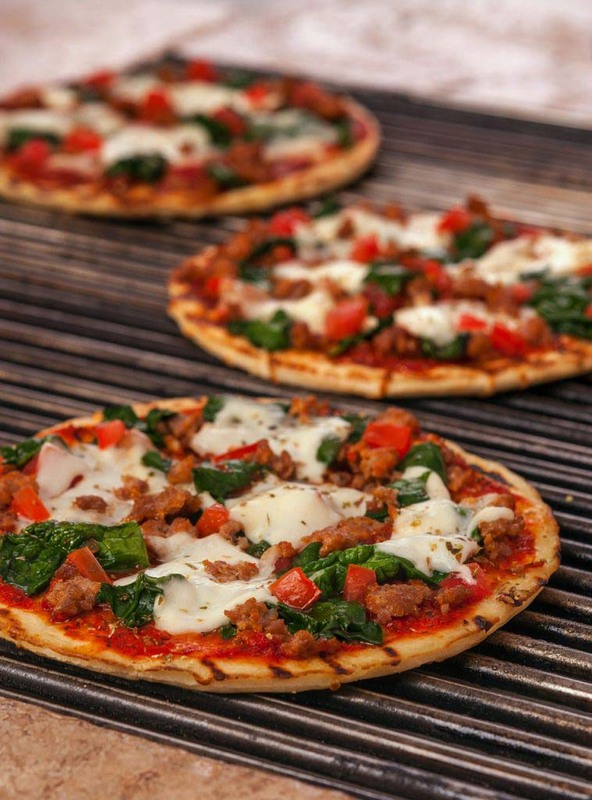 Top with cooked sausage, fresh mozzarella, chopped fresh spinach and diced tomatoes. Grill for 15-25 minutes, until cheese is melted and bottom of the crust is light brown. Lightly sprinkle dried oregano on top.